In March 2002 myself, Brady Nilsen, Garth Eliason, Paul Wieneke, and Mike Chow took our annual ski trip, this time to Steamboat Springs Colorado and nearby Winter Park. Here are a few pictures from the trip. 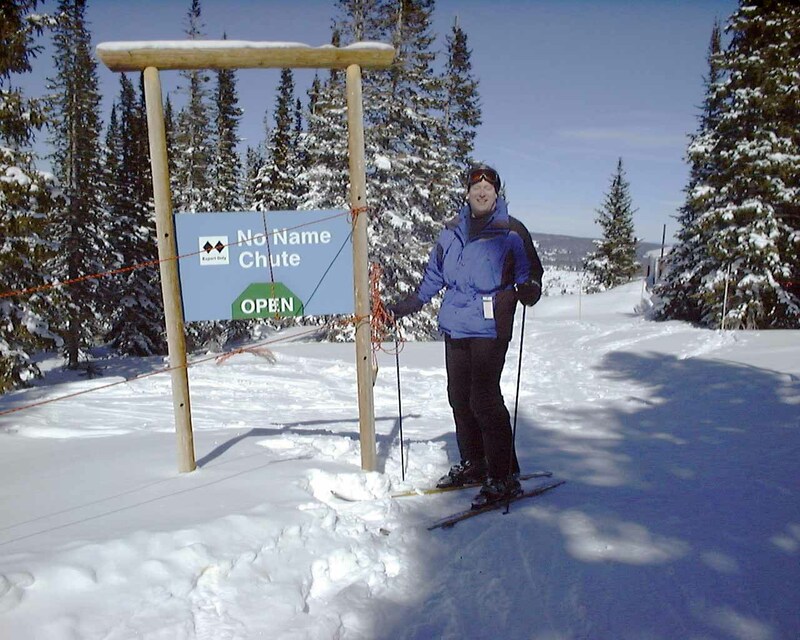 Here are some other links similar to this page: Steamboat Lift Map and Town Map, Winter Park lift map, Steamboat pics 1999, Winter Park pics 1999. Left to right, that's Brady, Mike, Garth, and me (Brian). Paul is taking the picture. 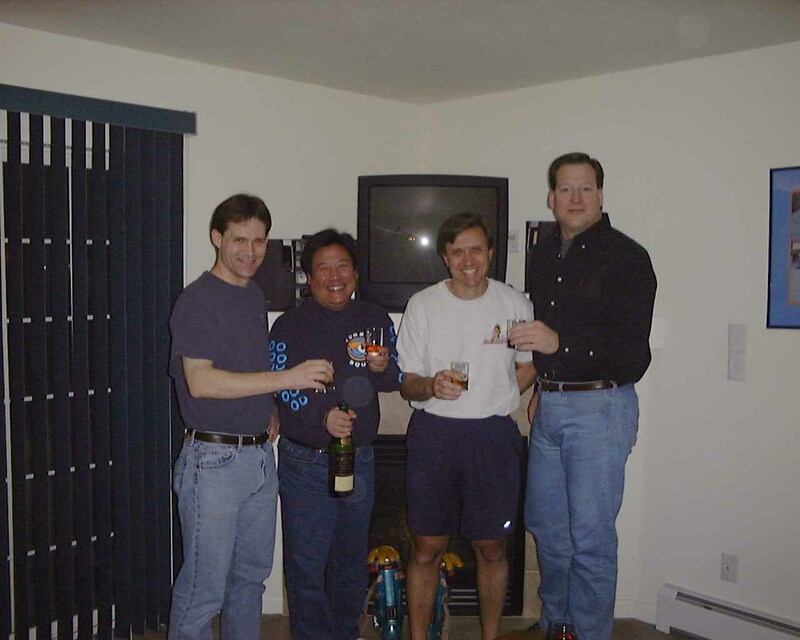 Here we are toasting with the 18 year old bottle of scotch (in Mike's right hand) that we only open when the four of us are on a ski trip together. This is the first opening in 3 years, Brady has been keeping the bottle safe for us. Before that I kept the scotch for 2 years, and now Garth is the keeper. Steamboat the second day (the first day I didn't carry a camera). 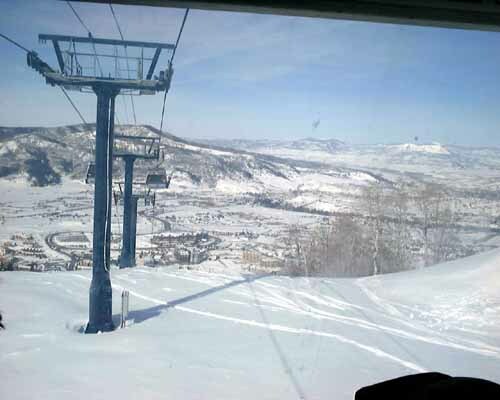 This picture is from inside the gondola on the ride up in the morning. A lunch break at Steamboat out on the deck. 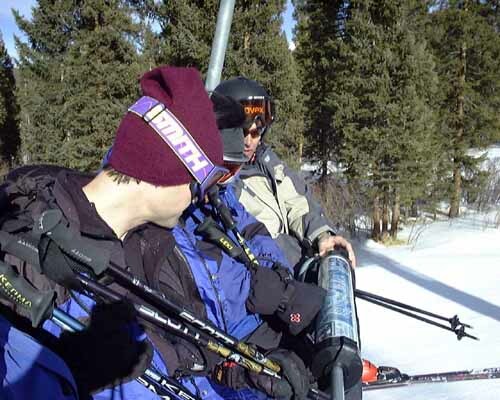 Brady, Paul, and Mike all studying the lift maps. A self portrait, I held out the camera at arms length. Garth is next to me playing with his camera. 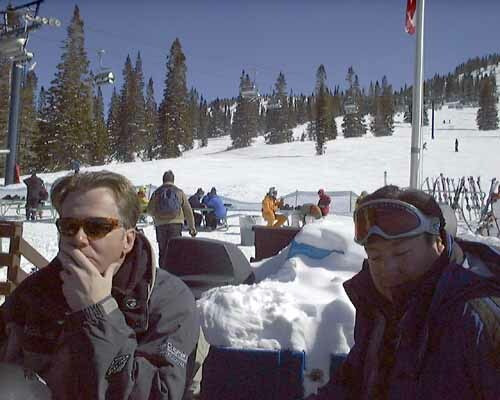 Paul and Mike at lunch, and the slope behind them. Life is pretty good. That's me in front of the same sign (Mike taking the picture). 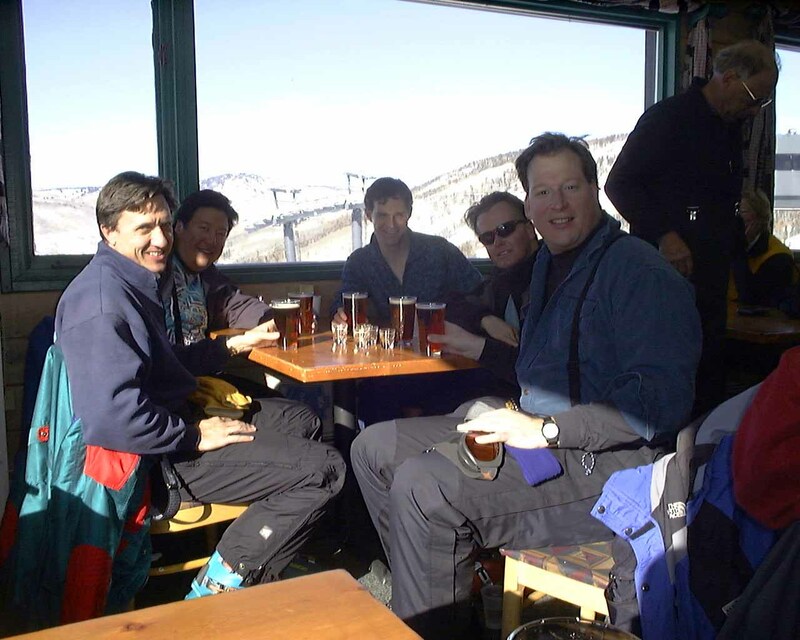 We have done our last hard run at Steamboat for the vacation, the lifts are closed, and here we are closing the mountain with a kamikaze shot and a beer (at a mid-mountain lodge) before skiing the last cat-track down off the mountain. Left to right it's Garth, Mike, Brady, Paul, and me (Brian). The next day, we got up early and drove to Winter Park (2 hours away). 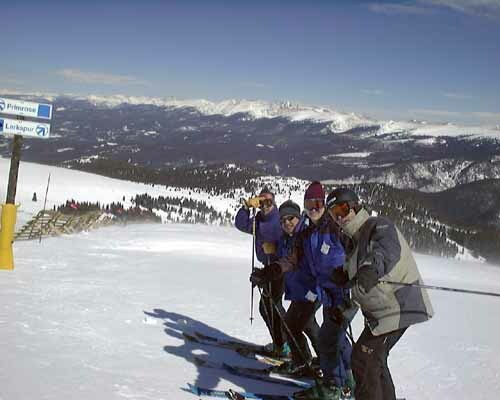 Here we are at the summit of Mary Jane, left to right that's Garth in back, Mike, Brady, and Paul. 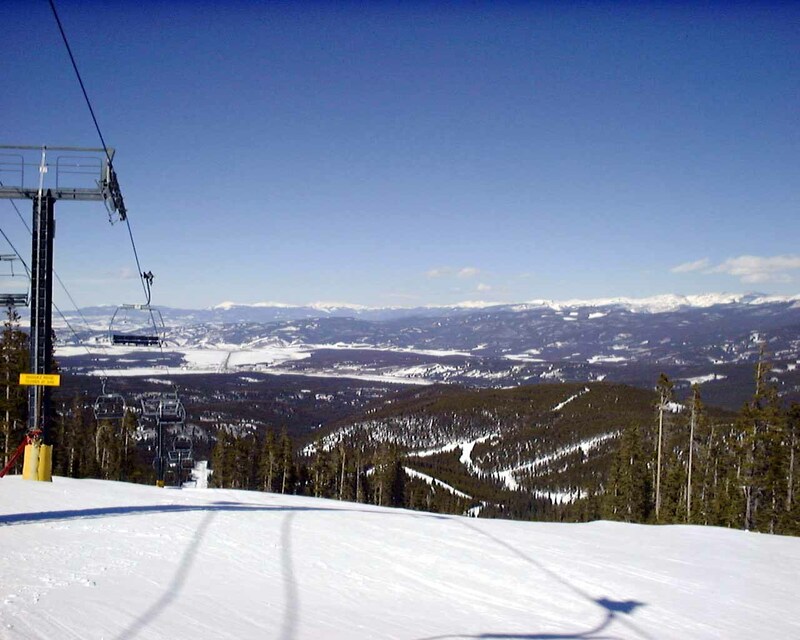 Random shot of the slope we're going to ski at Winter Park. 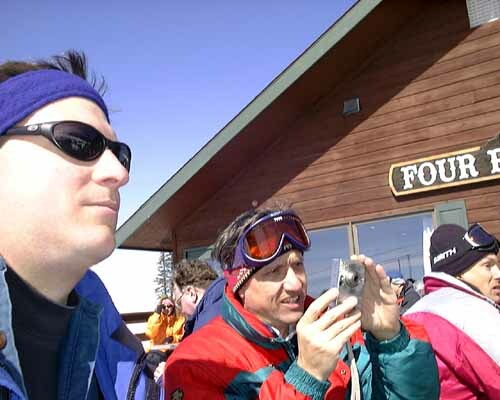 The next and final day of our trip, we're down to just Mike, Brady, and Paul pictured below at the top of "Outhouse", a famous Winter Park mogul run. 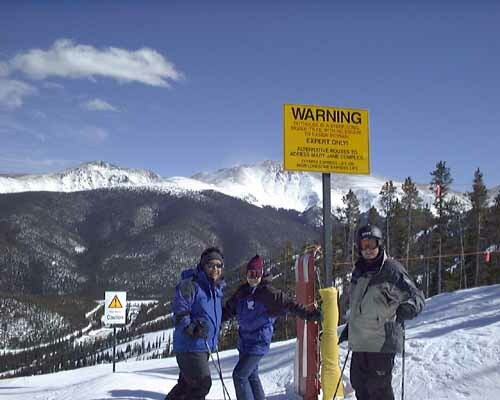 The sign reads: "WARNING: Outhouse is a steep, long, mogul trail with no escape to easier terrain. EXPERT ONLY!" 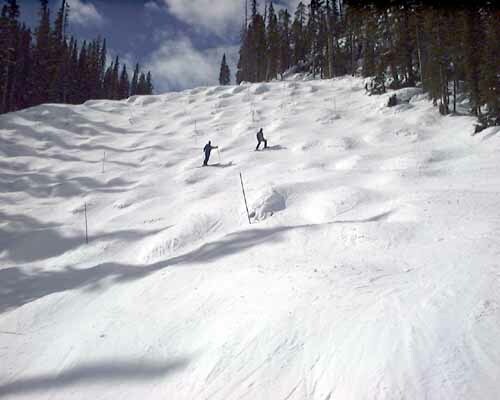 Looking up at the bottom of "Outhouse", the run we just finished. 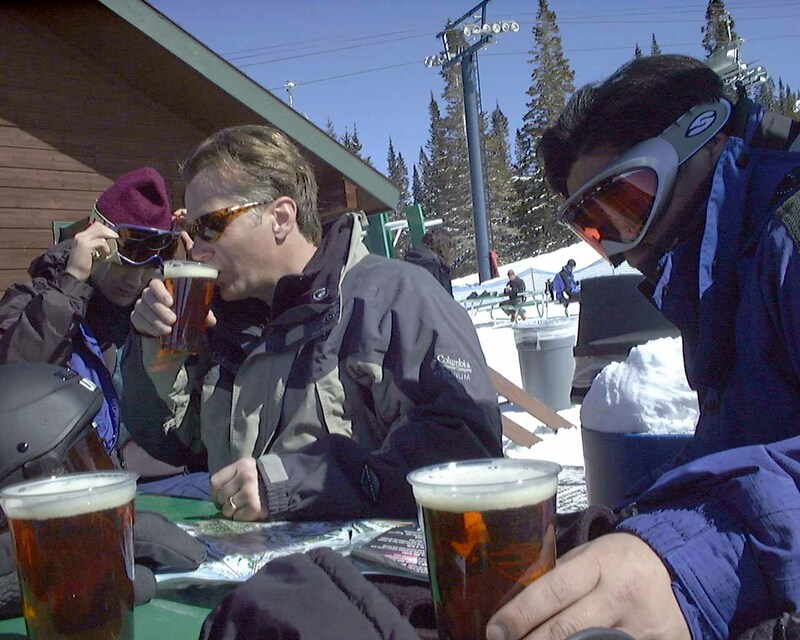 Later in the day, that's Brady on the left, Paul on the right. 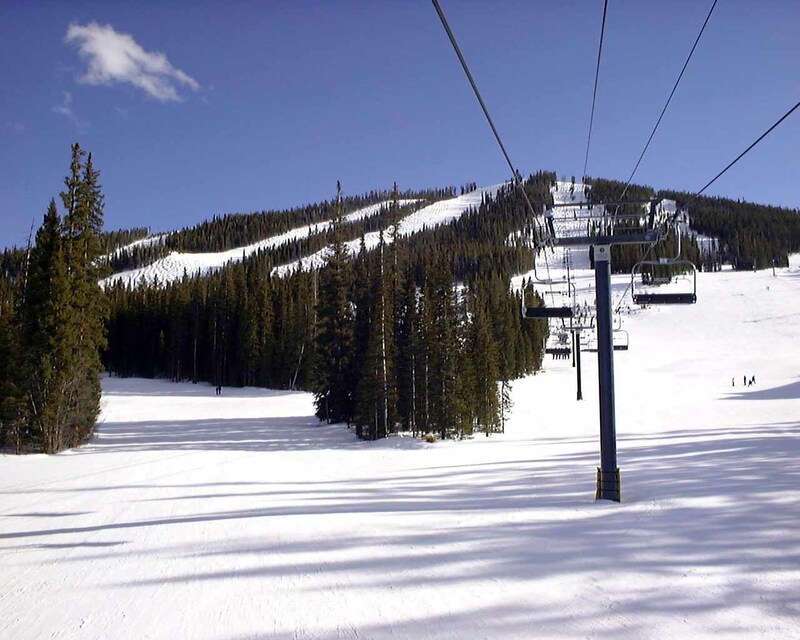 Notice all 19 poles sticking up out of the snow, those poles mark rocks poking through that skiers need to avoid. There are TWO microwave antennas in this picture of equal height. 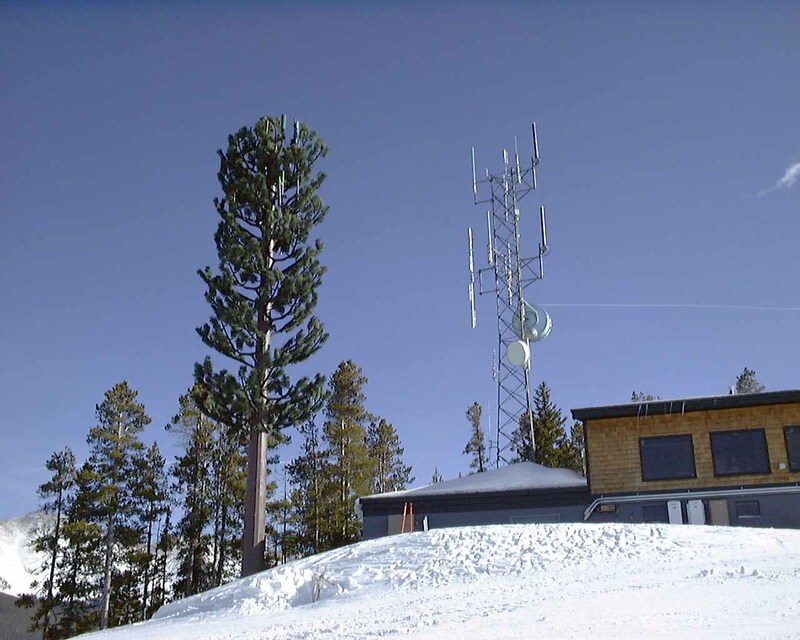 If you look closely, the large tree on the left is completely fake, and is bristling with antennas hidden by plastic fake tree branches. 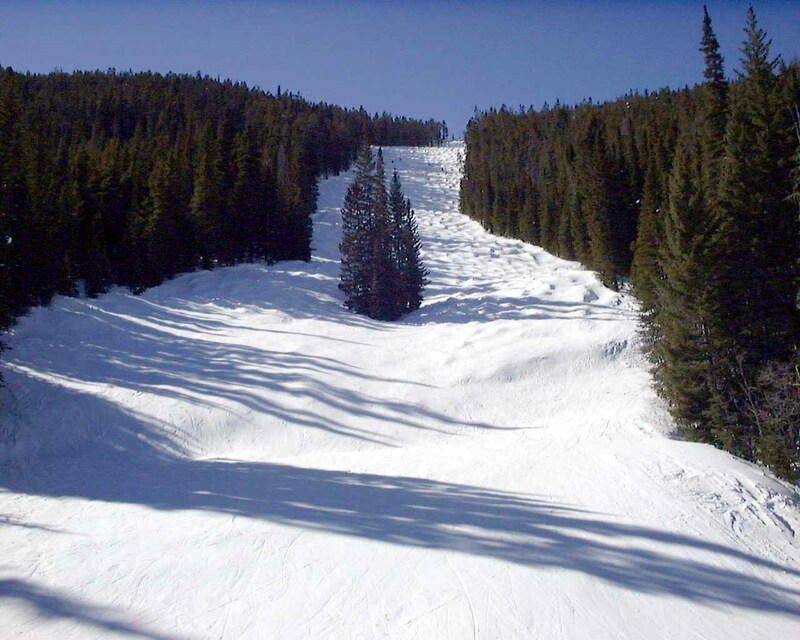 Winter Park is famous for its bumps (moguls). They let a large percentage of their terrain get bumped out instead of grooming it, and if you click on this picture to zoom in you can see a good sampling of the kind of terrain you see at Winter Park. Brady, Mike and Paul examining the lift map that is attached to the chair lift, trying to find one last run for us to take before heading home. 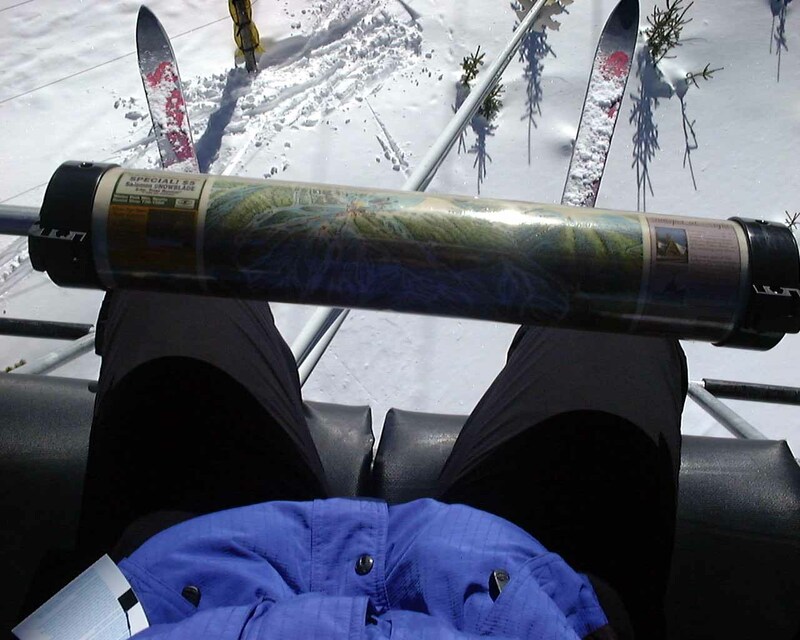 Click here for a close up of this lift map technology. 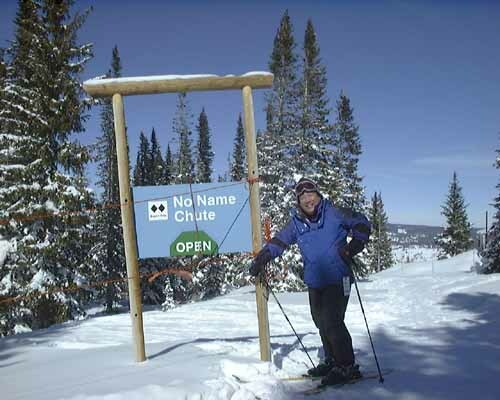 It is made by the company http://www.lapmap.com and is a really nice touch to a ski area.